We are looking for a highly qualified, self-motivated Safety Advisor who is able to work with diverse teams of both national and international staff as well as local government authorities, UN agencies, I/NGOs and other partners under difficult, stressful and sometimes insecure conditions. In 2012 – 2013, DRC opened its operations in Upper Nile and Unity States to respond to the large influx of refugees coming from Blue Nile State and South Kordofan (Sudan). In addition to the refugee response and since 2014, DRC has been then actively engaged in responding to the humanitarian needs of IDPs affected by the internal conflict through the provision of integrated approaches. With a total of 430 national staff, 50 expatriate staff and an annual budget of approximately USD 20 million, we are currently implementing multi-sectorial interventions through the provision of humanitarian services focused on CCCM, Protection, SGBV, FSL, Shelter and Infrastructure to both internally displaced persons and refugees across 5 field sites (Ajuong Thok, Bentiu, Maban, Malakal and Aburoc). Based in in Juba with a roving function, the Safety Advisor will contribute to creating a safe humanitarian space for the Emergency Rapid Response Mechanism (ERRM) community; focusing on affected populations through safety information sharing, coordination, and field assessments. The Safety and Access Adviser will provide analysis and advice to other international humanitarian organisations working within the ERRM sphere and will also represent the ECHO funded ERRM partners at wider coordination mechanisms. With the aim of enabling safe and conflict sensitive programming across the humanitarian community through strong context and safety assessments, and understanding of the local environment, the Safety and Access Adviser plays a critical role in meeting the needs of affected populations. The Safety and Access Adviser will also ensure adherence to minimum operating safety standards. Though Juba is the duty station, the Safety Advisor will be expected to conduct regular assessments in other locations across South Sudan. Hold regular meetings with NGO safety focal points within the ERRM (Emergency Rapid Response Mechanism). Represent NGOs as safety focal point in safety related meetings and produce meeting notes, disseminating critical information to NGO representatives. Represent (within limits agreed by SMTs of different organisations) the NGO humanitarian community in communication with relevant national stakeholders (representatives of beneficiary community, local government, local armed actors) on safety and security matters. Coordinate activities related to safety with relevant parts of UNMISS (UNPOL, FPU, UNDSS, etc. E.g. Define and organise convoy procedures with and without UNMISS force protection. Develop and maintain key contact lists of personnel involved in safety management. Act as a liaison between humanitarian partners and other safety agencies/personnel (including local actors). Advocate for safety improvement where and when necessary. Build and maintain network of information sources which allow the gathering of reliable data and information to create an actor and incident data base. Conduct safety assessments and provide humanitarian organisations with field reports including access recommendations and safety risk assessments. Undertake periodic safety assessments in close co-operation with ERRM partners field team and safety focal points, analysing safety and security factors and levels of risk related to ERRM operations across different states in South Sudan. Produce mission safety reports for humanitarian organisations, including analysis based on context flow and incident reports. Produce regular alerts and advisories relating to incidents and context developments. Maintain effective channels of communication for the humanitarian community, such as Skype groups, e-mail groups, etc. Support the development of SOPs and contingency plans for NGO staff within the ERRM sphere; Medical evacuation, relocation, hibernation etc. (on request). Provide general support to humanitarian partners on safety management; personal safety, radio communications, contingency planning, defining threat levels, etc. On top of pre-existing packages, design and deliver Safety-related trainings to ERRM partners staff. Ensure compliance with DRC global safety policy, code of conduct and safety-related guidelines and ensure internal DRC contingency plans and SOPs reflect prevailing safety situation on the ground. Regularly review and update DRC safety guidelines, safety level, and minimum operating safety standards (MOSS). Responsible for monitoring DRC safety assets and stocks on site; hibernation stocks, radio and communication assets, first aid and trauma kits, etc. Support the Area Manager in incident/crisis management situations, and liaise with Juba as necessary. Provide a safety briefing to all DRC staff at morning meetings, or similar and update the DRC Country Safety Adviser on an ongoing basis. Degree in developmental and/or political and/or conflict studies is attractive, but not essential. Minimum 1 year as safety manager/coordinator for an NGO in a high risk/conflict zone (or equivalent role). Proven experience in safety context/analysis and advising/coordinating humanitarian personnel. Experience of developing and updating SOPs, contingency plans and other risk assessment and management documents. Proven in-country experience liaising with UN and CIVMIL peacekeeping missions or agencies. Proven experience in incident/crisis management. Experience of conducting safety training for international and national staff, and experience of capacity building of national staff. Fluent English, and strong interpersonal, communication, and networking skills. Ability to provide conflict analysis (written). Proven ability to prioritise tasks and meet deadlines under pressure. Computer literate, able to use all common software packages. Be able to encourage, motivate and guide team members to approach safety and security issues with confidence especially during crises. Be flexible to travel at short notice to difficult and risky areas. Stable and robust character, team-player with a good sense of humour. Determination, self-integrity, unselfishness, cheerfulness in the face of adversity. Communication (radio) equipment related qualification. 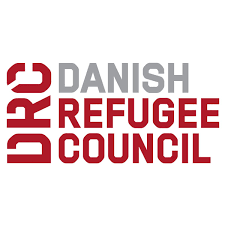 Salary and conditions will be in accordance with Danish Refugee Council’s Terms of Employment for Expatriates; please refer to www.drc.dk under Vacancies. This position will be placed at Employment Band – G1. Emergency Manager, Mobile team managers, Mobile team safety officer, ERRM partner safety focal points, Juba support staff, NGO Safety Advisers (DRC), Safety Liaison Officer (DRC), security focal points (other NGO), OCHA personnel, UNMISS personnel including Military Liaison Officers, local authorities, and any other local actors. All applicants must upload a cover letter and an updated CV (no longer than four pages). Both must be in English. CV only applications will not be considered. Applications close 1st May, 2019.